Throughout his final season, basketball legend Dwyane Wade has been swapping jerseys with some of the biggest names in the NBA: Nowitzki, James, Beal — he has gathered quite an eclectic all-star mix. But there were five more individuals who wanted to gift him with a few memorable items before his career came to a close. 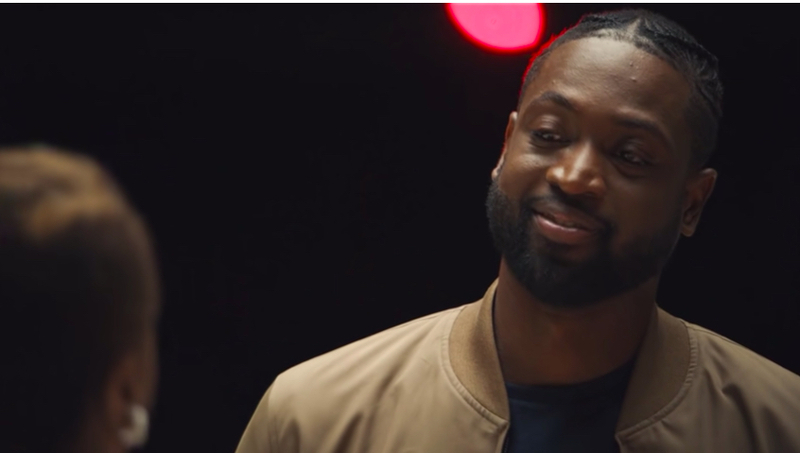 In a new ad titled, “This Bud’s For 3,” Wade is positioned on a dimly lit basketball court as he awaits the arrival of five mystery guests, whom he assumed were going to be fellow players looking to swap jerseys with him. Instead, he is greeted by five rather special fans who all had one thing in common — they had all experienced Wade’s kindness. “You mean so much to us, and my brother loved you from the beginning,” Ghersi said, whose brother was buried in a “Wade” replica jersey. Honoring her brother back in February, Wade himself wore shoes that had “Joaquin Oliver” inscribed on the heel — a gesture that meant so much to the grief-stricken family. In exchange, Ghersi presented Wade with Joaquim’s own basketball jersey that he had worn in the season preceding his untimely death. Wade’s mother, JoLinda, who is a former drug addict and dealer, was the final guest to appear before the all-star athlete, which made for the most emotional moment of them all. “When you bought your mama that church, you don’t even understand the lives that you changed,” JoLinda told her son. “I respect my mother so much, from the life that she used to live and to see her today in the life that she lives. I’m so proud of her,” Wade told The Associated Press before the inaugural church service at “Temple of Praise” over a decade ago, according to ESPN. “Everybody thinks I’m the miraculous story in the family. I think she is. I think what I’ve done means I’ve been very blessed, but she’s been more than blessed. She’s been anointed,” the proud son said at the time. Previously, Wade has talked of his faith-filled motivations to give back to God and others. In the new ad, JoLinda can be seen handing her son an item of deep spiritual significance. Following the release of the moving video ad, Wade issued a heartfelt statement showing his appreciation for all those who have supported him over the years. “Throughout the year, I’ve had the opportunity to reflect on my basketball career and thank so many teammates, coaches and mentors who have impacted me on the court,” he said, according to WLS-TV.